What's the Best Control Panel for VPS? To fully take advantage of all the benefits of a VPS, you need to have a control panel installed on your server; unless you like the command line so much and you prefer to do everything with commands. Why you need a control panel for your VPS? A control panel can help you manage your server using a nice graphical interface that is designed with ‘normal’ users in mind. With a control panel you do need to have any expert knowledge but you can do almost all tasks using the easy to use wizards or functions. At knownhost we offer you 4 different control panels for your managed VPS and while all four are great, we do recommend using cPanel in order to enjoy your VPS experience in the best possible way. 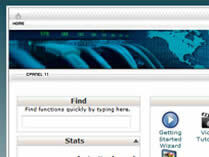 cPanel is perhaps the most popular control panel for VPS in the market today. You can use it to manage your server in an easy to use and fast way. Everything you may need to do on a daily basis is accessible from the control panel main screen. For server administrative tasks you can use WHM which is also very easy to use and powerful. WHM is also the tool to use to manage various accounts when you are a hosting reseller. The main advantages of cPanel are: Easy to install (we do it for you anyway), can be used by novice users with great ease, because it is very popular it is compatible with many other applications like one-click installers, various email clients etc. Also by doing a quick search on the web you will see that there is a plethora of how-to documents on everything you need to accomplish with cPanel. Direct Admin is another popular choice but maybe not so popular as cPanel. 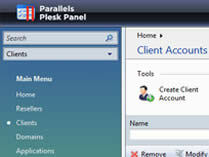 It also has a graphical user interface but the majority of users believe that it is not as straightforward as cPanel. 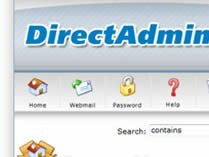 DirectAdmin is still a good choice for beginners but for more advanced task you may find that cPanel has more software choices (add-ons) because it is more popular. As the name implies webmin is a web based control panel for administering Unix based servers. It is the least popular among the 4 control panels and it is more favourable by system administrators because you need to have some technical knowledge in order to use it. It does have a graphics user interface but it is not as easy as cPanel or directadmin. On the positive side, webmin is free to use while all others have a $5 monthly fee, but if you are not a Unix guru then selecting one of the other three panels is your best choice. 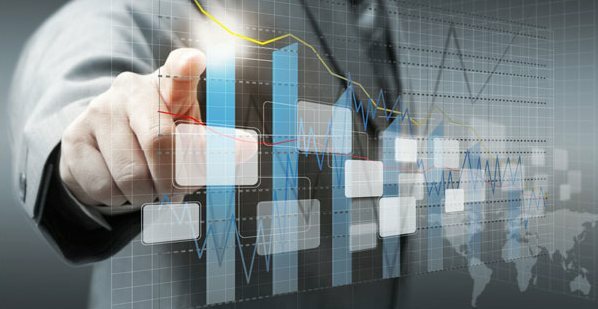 What is the most important factor when selecting a control panel for your VPS? When you start using a VPS you have high expectations about the performance of your server, security and support you will get from your vendor and without having the proper control panel, all of the above maybe compromised. When choosing a control panel your first priority is not the small monthly fee you will pay for the service but to have a control panel that will give you all the functionality you want in a user friendly environment that is fast and secure. From all the available control panels in the market today, cPanel is the one that many users select and together with the server administrative interface (WHM) is the perfect solution for managed VPS. If you want any help deciding which control panel is best suited for your needs, contact our 24/7 support and our skilful engineers will be more than happy to assist. Is Speed or Responsive Design More Valuable? Learn How Managed Hosting Can Make Your Life Easier!